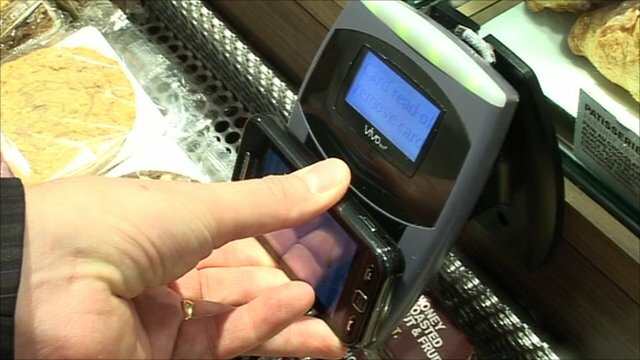 Testing out paying by gloves Jump to media player The first contactless payment gloves are being trialled in stores in the run up to Christmas - Rory Cellan-Jones put them to the test. 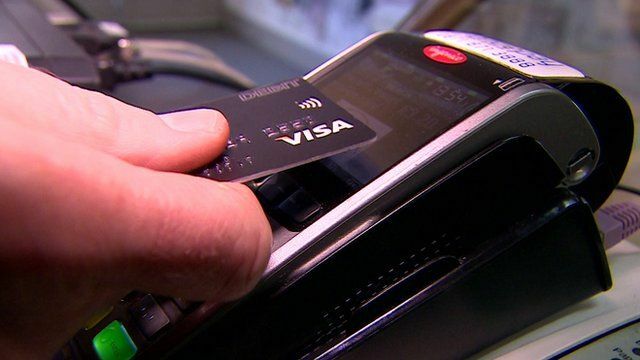 Contactless payment 'security flaw' Jump to media player Researchers claim they have found a security flaw with Visa contactless payment cards. Pay for lunch via your mobile Jump to media player A new system has been introduced to the UK that allows people to pay for goods with their mobile phones. The number of contactless card payments has tripled over the last year with more people choosing to use contactless for quick transactions. The success of the system means the payment limit will be raised from £20 to £30 in 2015.